ChakMool, Dos Ojos, Taj, ChikinHa. 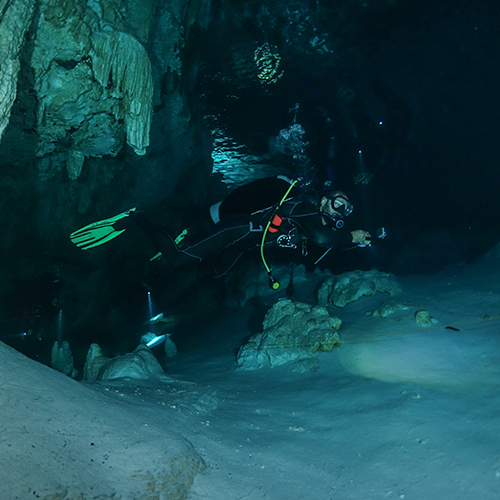 Cenote diving is one of the most unique, thrilling and exciting experiences that you can ever experience as a Scuba Diver and you can experience it right here with us at Scuba Playa! Cenote diving is a guided tour of a cavern in an overhead environment filled with crystal clear fresh water, resulting from the collapse of limestone bedrock that exposes groundwater underneath. 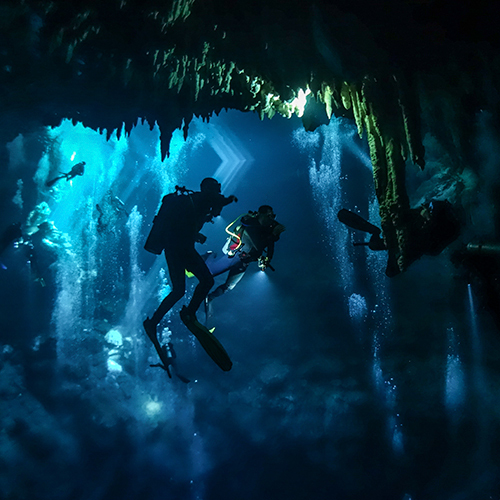 Once a sacred place for the ancient Mayans, Cenotes are a magical natural wonder unique to this part of the world that provide a fabulous, mysterious and safe diving experience. For certified divers only,cenote diving is best during the morning hours because of the sun rays reflecting in the water. 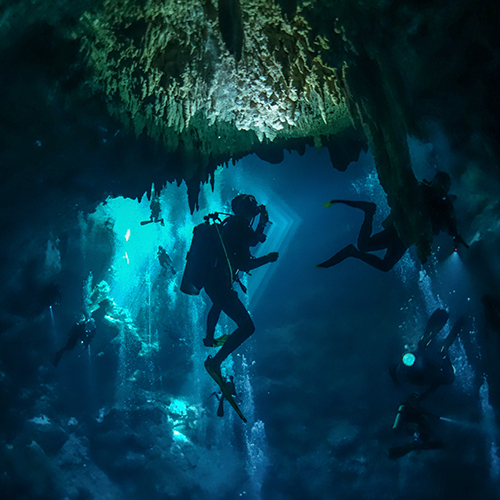 An open water diver certification with reasonable recent diving experience are sufficient prerequisites for Cenote diving. Our typical Cenote diving experience will meet at Scuba Playa at 8:40 a.m., where we will load the ground transportation with all necessary gear and tanks. Once at the Cenote, and after a complete and comprehensive briefing, we will gear up and do the first dive. After a surface interval we will do a second dive in the same cenote system, but in a different line. Even though the average temperature of theCenote water is 75°F / 24°C, a long wet suit is highly recommended as we will move slowly and peacefully throughout the underground rivers. A lamp is also a required piece of equipment for Cenote diving which we will provide you with at no additional cost. Scuba Playa’s increased safety rules for Cenote diving include a maximum of 4 divers per guide, but if traveling in a larger group, we will have extra guides available. Our guides are Full Cave Certified and know the Cenotes like the back of their hands. 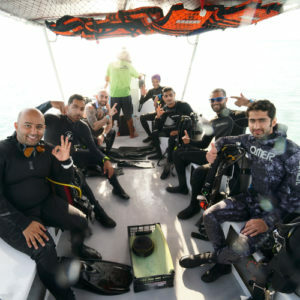 The maximum depth for a Cavern dive is 21m-70ft , minimum visibility is 15m-50ft, ;maximum distance to an exit is 60 m/200ft and all passages are wide enough to fit at least 2 divers comfortably. 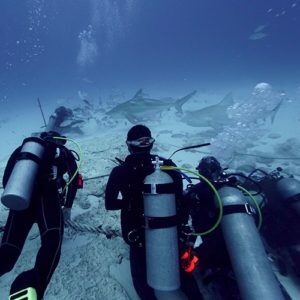 All dives will be within no decompression limits and divers must always remain within the natural daylight zone. The cavern area usually has guideline that lead back to open water. The cavern guide and the group must follow it, staying within an arms length. The border between cavern and cave areas are clearly marked and we will not be diving beyond the warning signs. 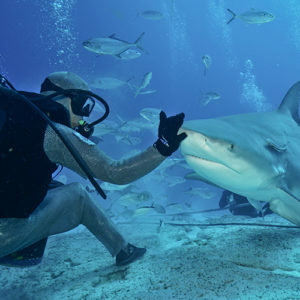 Our tour price includes two dives, one guide with a maximum of four divers, ground transportation to and from Scuba Playa to the Cenote, one entrance fee, tanks, weights and a light lunch. 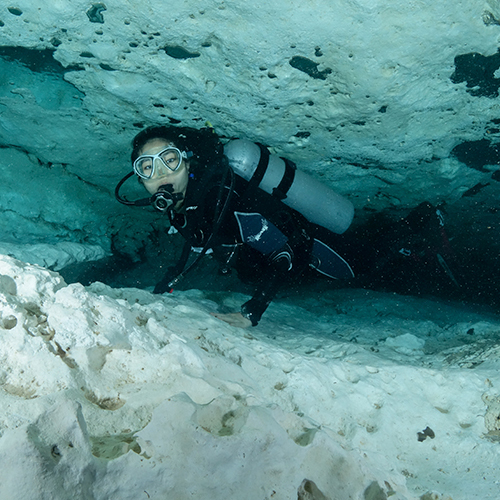 Additional Cenote diving options, such as Angelita or the Pit , which are the deepest sinkholes in the area suggested for experienced divers, or combinations that include a greater transportation distance or multiple entrance fees are also available upon request and will be quoted accordingly.